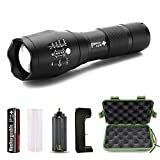 Are you putting together a survival kit or trying to find a water filter to put in your bushcraft rucksack for your camping trip? We know just the products for you. If you want to make sure that the water filter you purchase will be effective and suitable for a survivalist atmosphere, you should continue reading. This article will focus on the best portable backpacking water filters that are suitable for emergency situations. What Makes These The Best Emergency Backpacking Water Filters? The Sawyer Products Mini Water Filtration System is really a mini water filtration system. It's so small that is can fit easily into a backpack or other luggage. It isn't heavy either and you can use it in 3 different ways. With such versatility, it's astonishing to see that this device is so inexpensive. Trying to find a good survival water filtration system? 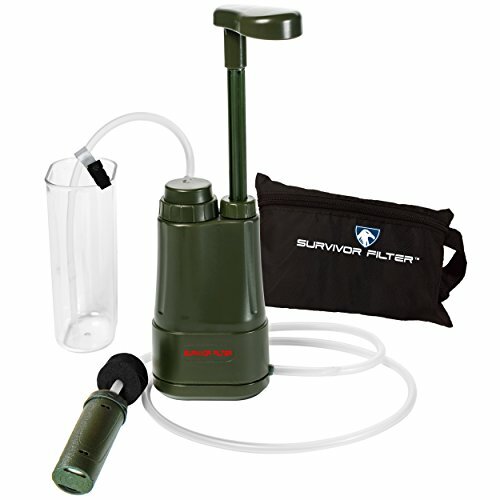 Think about the Survivor Filter PRO 0.01Micron Water Purifier Pump. It's portable, lightweight, can filter a large volume of water and you can clean the filter so it can be reused. This is especially good if you want to filter water for a larger group of people. If you are looking for something that is more of a personal filter, you should check out the ZNPNXN Water Straw Purifier. It's basically a straw that you can carry just about anywhere. You can drink water directly from the source as it will be filtered on its way up the straw. This is a very amazing and functional product. 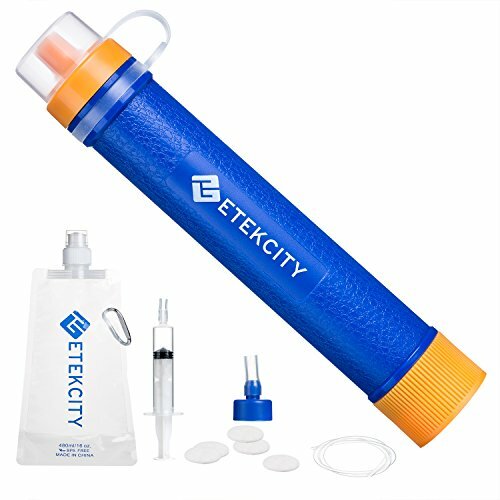 The Etekcity Personal Water Purifier is another water straw that produces amazing results This water filter gives you a good bang for your buck. 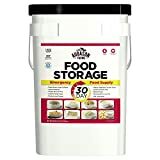 It has a very good water filtration system, removing just about every bacterial contaminant that may be present in the water. If you don't want to spend a fortune, you should take a look at this product. 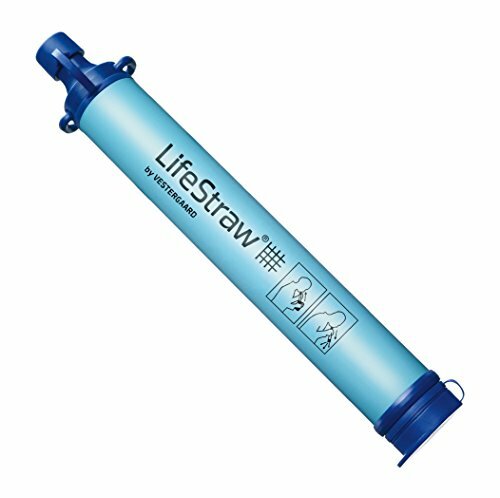 Also affordably priced, the LifeStraw Personal Water Filter is ideal for many situations. 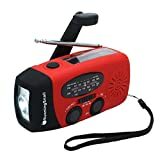 It's very portable and it has a very good water filtration system. If you are looking for a personal water filter that can effectively filter water and last for a good amount of time, you should check out what this product has to offer. This mini water filter is just a little bit bigger than most straw models. It's a very lightweight item, so it's easy to carry around. It's available in a variety of colors and you can also purchase more than 1 filter to get a slightly discounted price. The cost for one of these water filters is pretty reasonable, and it has a very efficient and effective filtration system. This kit comes with a reusable pouch for water, a cleaning plunger and a drinking straw. Although this product is the most expensive, it seems to do the best job at removing harmful microorganisms from any water. It's a 3-step process that leads to much cleaner and safer water. 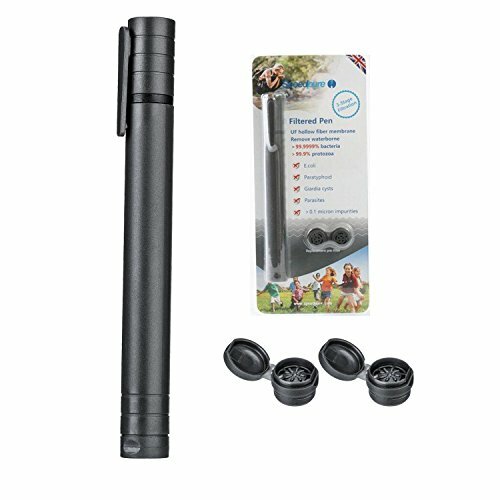 When you purchase this water filter, you will receive a zippered case for carrying the water filter, a lifetime warranty and a money-back guarantee. When you talk about portable, this is it. This very small inexpensive water filter is basically the size of a straw. It's a very advanced water filtration system that removes almost all bacteria that is present in water. Because of its very small size, you can carry this water filter anywhere. It does not occupy a lot of space and it isn’t heavy either. You can use it to filter up to 1,000L of water from any source of fresh water. Having a water filter that is small makes it very easy to carry around, and for this price, this product is worth considering. It basically removes all the bacterial contaminants that can be present in water such as salmonella, E. coli and cholera. This portable water filter complies with the FDA’s food contact specifications, so you can rest assured that the water it filters will be safe for consumption. The filtration kit contains a pouch for collecting water, a longer straw that you can attach to the filter, and a syringe that you should use for cleaning the filter. This water filter is quite popular and it's inexpensive. In fact, it has received several awards. You can use it to filter up to 1,000L before replacing it. When you purchase this item, you should receive it in a sealed bag. 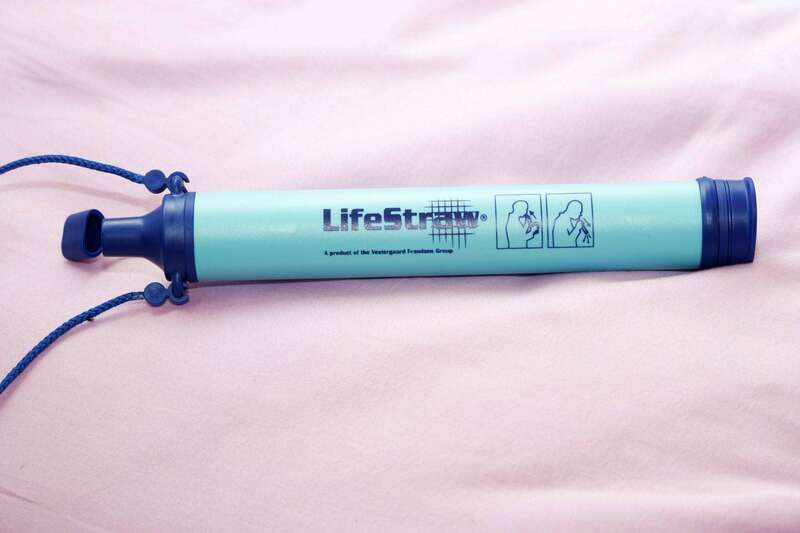 Although it seems to be bigger than many water straws that we have come across, it is still light and portable. It's approved by the EPA and it filters 99.9% bacteria in water. It doesn't contain any chemicals for filtration neither does it use batteries. When looking at a water filter system, you need to find one that is mobile. This is important, as you want it to fit easily into your luggage or your backpack. Obviously the most important aspect of a filtration system is that it works, so you want to find a water filter that has been approved by scientists, which all products on our list have been. Before you purchase a water filter, figure out if you are going to be traveling in a small group or by yourself. This will influence your decision on the type you want to get. If a natural disaster an emergency arises, you may not have access to clean water. Thankfully, there are survival water filters that can help you to make water safe for consumption; in fact, water filters should not just be limited to survival situations only. Water filters come in different styles, shapes and sizes, but they are all beneficial. When you filter water, it removes many unwanted substances. This includes chemicals that have an odor. When filtration is complete, the water should be odorless and the taste should be improved. If the water was not clear, filtration should also improve its color and make it much more transparent. The cost of buying bottled water eventually adds up. It may seem to be inexpensive now, but do the math. If you purchase a water filter, it will be a much cheaper option than if you continually purchase bottled water. Regardless of the color of the water, many dangerous substances can be lurking in it. One way to ensure that you remove dangerous toxins and other contaminants is by using a water filter. A water filter is designed to get rid of many types of impurities that may be present in water. This makes the water much cleaner and safer for consumption. A good way to control your water quality is by using a water filter. Because unwanted substances will be removed from the water, you will know that you are drinking the same quality of water at all times. Water filters will give you clean, healthy water that is safe and good for your body. Now that you know the benefits of using a water filter, you should not hesitate or second guess whether you should go get one. There are some questions that you need to answer before you make a choice. Once you answer these questions, it will help you to narrow down your search. Does it matter if it's heavy or portable? ​Can you easily replace the filter or can you clean it? ​How easy is it to use the filter? Do you have a budget? How much can you afford to spend? Although these 5 products are our top 5 picks, there is one product that we consider as the best portable backpacking water filter. 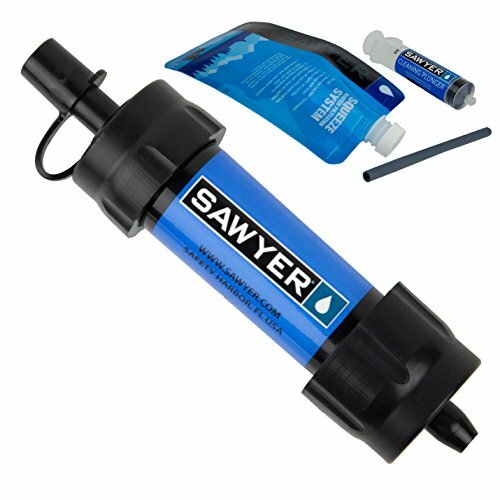 The Sawyer Products Mini Water Filtration System is very versatile. You can attach it to drinking bottles or use it directly with the water source. It does all the things that you should look for in a water filter, and it is affordable. To make it even more appealing, you can clean the filter to extend the life of the system.